Patchwork and quilting are used for various purposes such as function, storytelling and ornamentation. It has developed a rich heritage across many cultures. 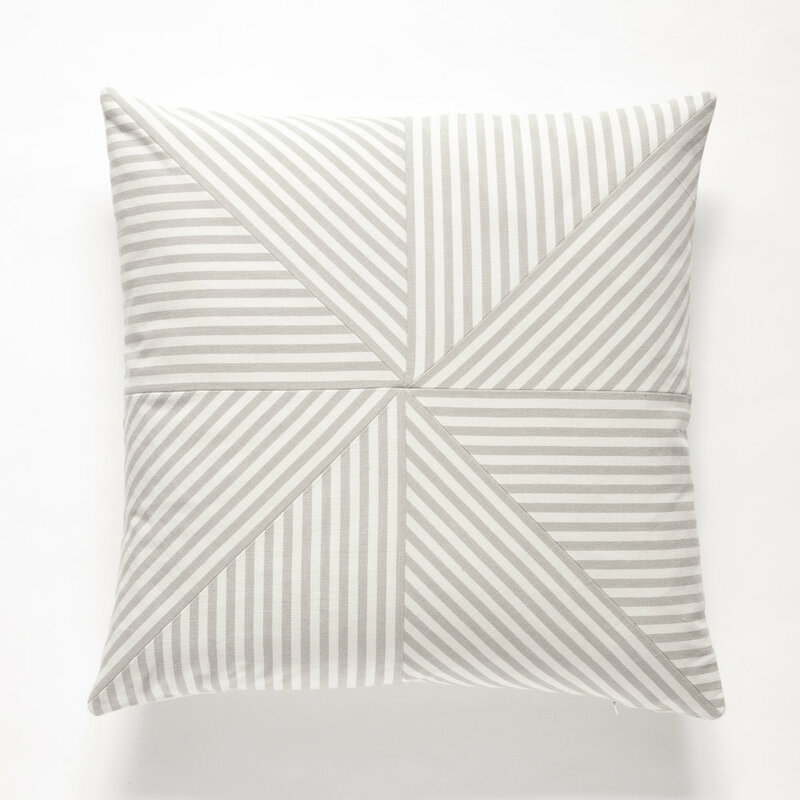 The Lineage Pillows play on the interaction of traditional American quilt block patterns and the linear quality of striped fabric. Combining these two types of patterning creates a graphic representation of an arrow.